Description: Immaculate condition! 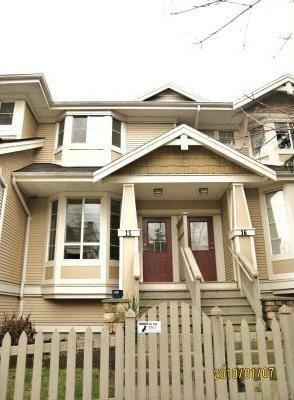 This 2 bdrm + den and 2 bath townhome is centrally located at Garden City and Blundell Rd. 10 yrs problem free complex with low maintenance fees. Features 9' ceiling on main, wood flooring, designer paint, updated quality carpet, updated light fixtures, large open kitchen with slate tiles and more.Bright unit with 1300 SF of functional layout. Close to schools, transits and mall. Call now to view.